For generations, Native American and Hispanic people have used the scenic, mountainous land northwest of Taos for hunting, grazing, and the gathering of herbs, medicinal plants and firewood. 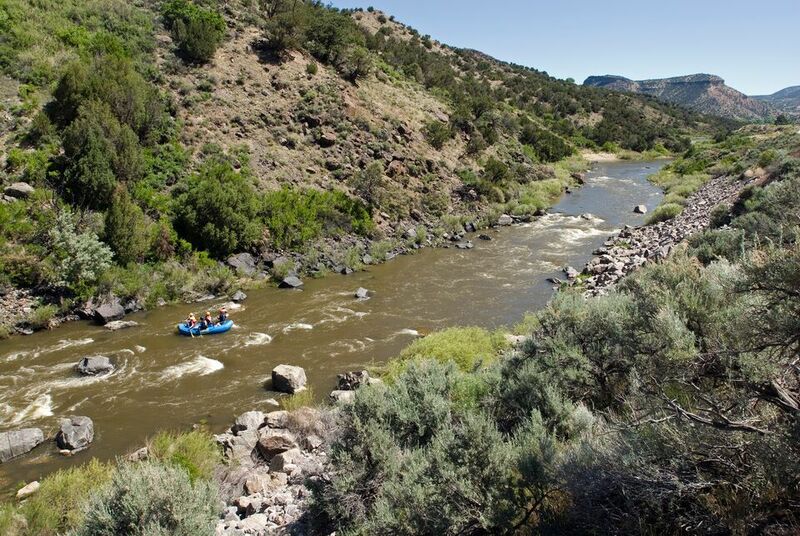 In 2013, President Obama created the Rio Grande del Norte National Monument, protecting some of this land for its scenic values, to protect access by local residents, and to support an emerging recreation economy in a region popular with sightseers, hikers, campers, and river-runners. In 2016, with support from local residents, The Trust for Public Land added a key 2,500-acre parcel to the monument. Cradled among massive mountains—Cerro de la Olla, Cerro Chiflo, and Cerro Montosa—this dramatic landscape lies only a mile from where the Red River joins the Rio Grande in a scenic 800-foot canyon. In addition to preventing potential development, preservation of the rugged, wide-open landscape significantly improved public access to the interior of the monument. The project was made possible by the LOR Foundation, which supported purchase the land in advance of its final protection by the Bureau of Land Management through a grant from the federal Land and Water Conservation Fund. In 2018, we added another 648 acres to the national monument adjacent to the Wild River Recreation Area, where the Red River and the Rio Grande meet in an 800-foot canyon. The Wild River Recreation Area is a great spot for camping, picnicking, fishing, swimming, and a scenic driving loop. Protecting this land improves public access to the interior of the monument and preserves its rugged, wide-open vistas. It also protects habitat for threatened species like the Gunnison's prairie dog, loggerhead shrike, and burrowing owl.